Electric Motor. 3-6 Volts DC. Base and Front mounting plate holes 1" square pitch. ½" shaft length standard triflat Meccano axle diameter (4.05mm). 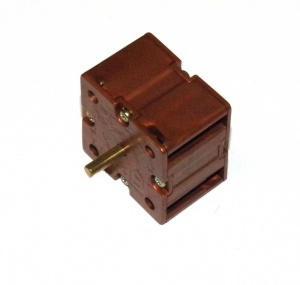 Motor size 1½" (38mm) cube. With connecting cable and plug for infra red control set. May be slightly different colour / design to picture. Original Meccano.